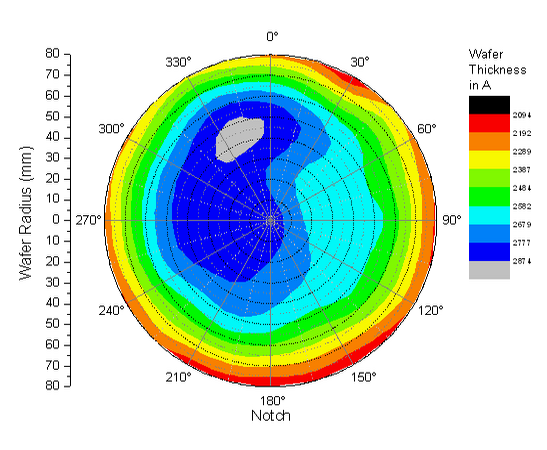 Shown is a Polar Contour plot of semiconductor wafer thickness measurements as a function of the wafer radius in millimeters and the angle. Measurements were taken at different notches in the wafer. Note: This graph is an example of Origin's built-in Polar Contour plot. This graph can be created directly from data organized as theta, radius, Z or radius, theta, Z. The data is directly plotted as a contour graph using triangulation.